RIPS is a new instrument constructed in collaboration with Jeffrey Baumgardner and Luke Moore at the Center for Space Physics. The instrument was designed around the concept of lucky imaging--using high cadence video rate EMCCD imaging to freeze out atmospheric seeing by luck, when the atmospheric turblence happens to be still just for an instant. However, RIPS functions as a "lucky spectrograph," by recording a spectral channel on the EMCCD detector concurrent with the imaging channel. RIPS uses an echelle grating to give high-dispersion 1.25 km/s/pixel and R~97,000 spectra, but uses internal sorting filters to isolate single orders that contain emissions of interest. It further employs an optional pre-filter of ~45A bandpass to reject off-band light before it ever enters the instrument. Obtaining a good signal to noise spectrum at a high resolving power requires both a very bright target object and a high throughput optical path. 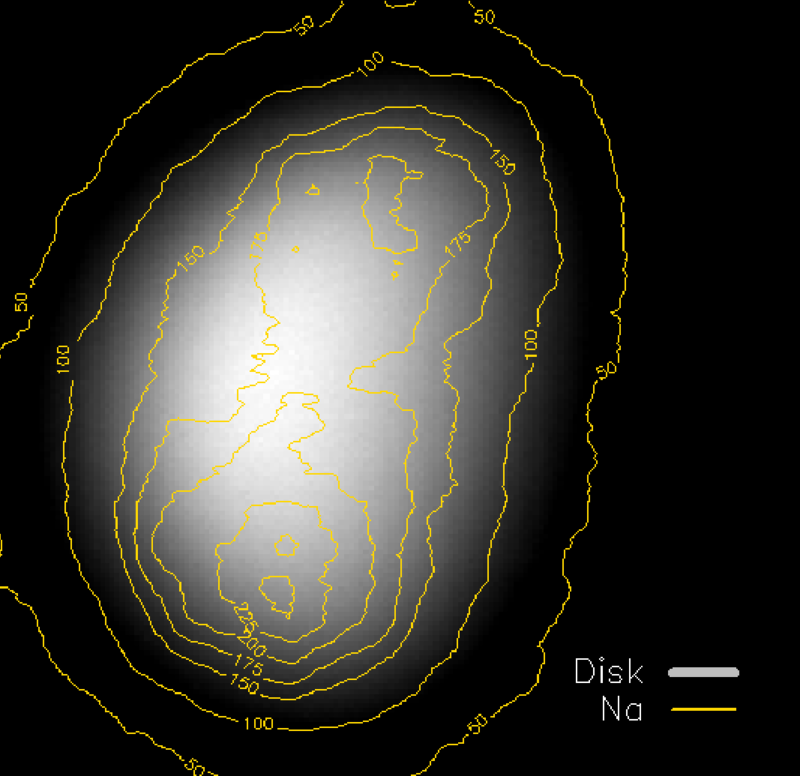 However, true lucky imaging has a limit due to the characteristic size scales of atmospheric turbulence. This is typically half a meter or less in the visible wavelengths, making "lucky" techniques mostly a small telescope trick favored by the best amateur astronomers. However, there are lots of caveats and things like wind and tracking errors still afford some benefits for high cadence imaging techniques. Tim Staley's PhD thesis makes a nice read for those interested. Mercury is right in the sweet spot for lucky imaging techniques: the wind and seeing are generally awful and it's really really bright. It's a prime candidate for lucky spectroscopy, and as far as we know RIPS is the first application of this niche technique.